Hello to all! We will be hosting two Women Build groups this week! 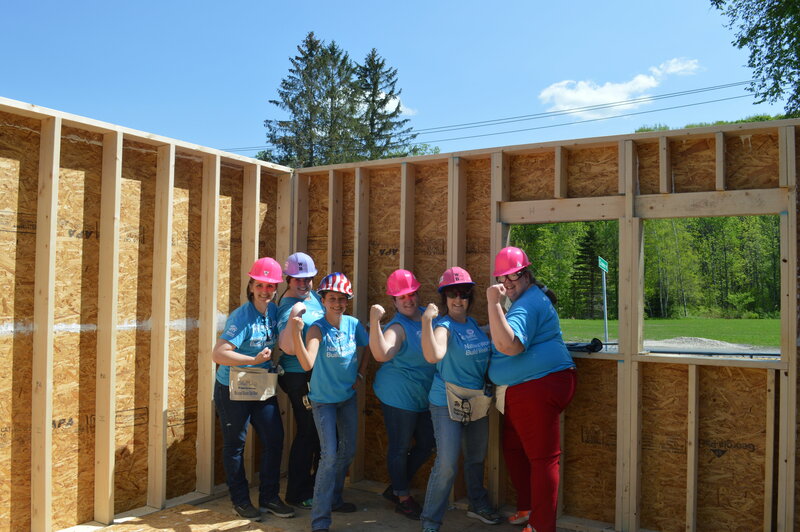 * We are excited to host teams from Greylock Federal Credit Union and our first group of Individual Women Build volunteers this Thursday. As it is Memorial Day weekend, our site will be closed this Saturday. 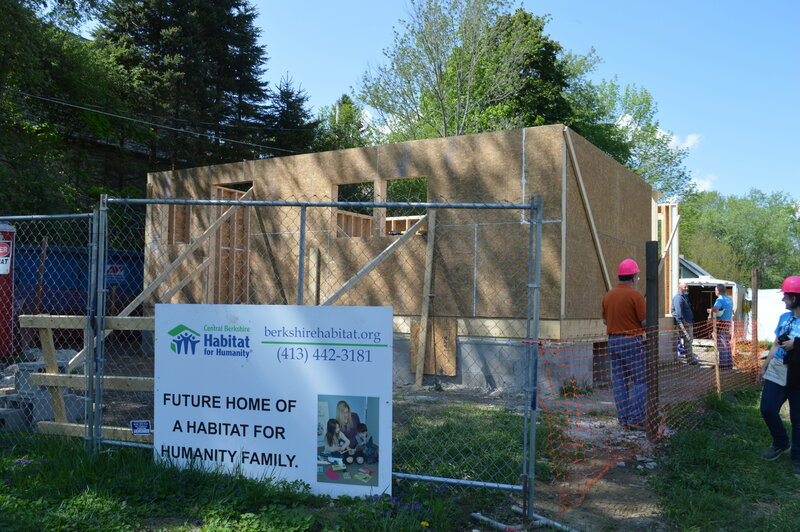 If you are interested in serving on site outside of Women Build, please contact Volunteer Coordinator, Katiana Selens (kselens@berkshirehabitat.org, 413-442-3181) regarding open volunteer slots for this Friday (8am-12pm). *The site will be open to pre-confirmed volunteers on Friday and closed on Saturday. In the last week, our Women Build teams have framed and raised walls in the beating sun and the pouring rain. We now have the exterior first floor walls of Courtney's home sturdy and standing! It has been amazing to watch these groups work alongside our core volunteers and construction staff to learn new skills, meet new people, and engage with community service in such an impactful way. 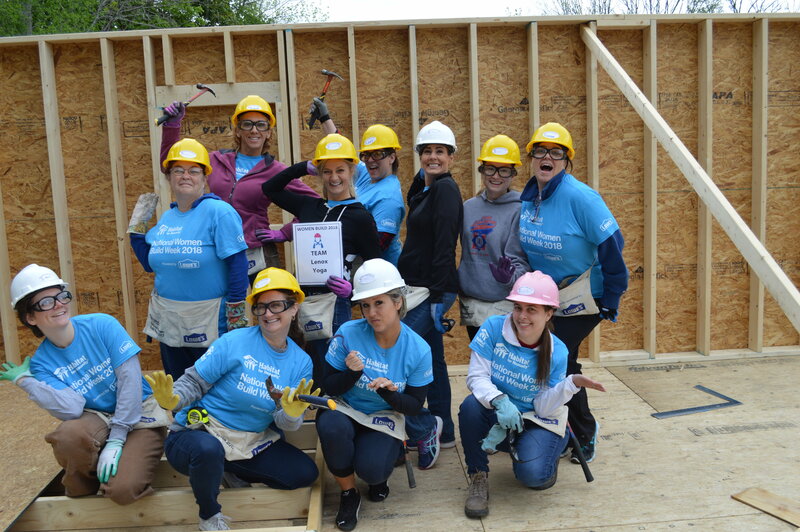 If you are interested in participating in our 2018 Women Build, we still have individual slots open for June 13th and June 14th. All interested parties should contact Volunteer Coordinator, Katiana Selens or Community Outreach and Development Manager, Dawn Giftos (dgiftos@berkshirehabitat.org). Last week, Berkshire Bank volunteers completed the sub floor, prepared the stairs, and installed the safety railing and wall framing for Courtney's future home. General Dynamics lifted and installed the north wall and framed the west wall. Lenox Yoga lifted the west wall into place and framed the south wall. Greylock Federal Credit Union sheathed and raised the south wall and framed the east wall. This team spent their day learning all about measuring, cutting, hammering, caulking, and insulating. We have watched volunteers of all backgrounds and experiences problem solve, ask questions, and learn how to build a home on a job site. We are looking forward to the coming weeks as we reflect with gratitude on the impressive work that has already been done. When AC systems were first introduced, the output settings were measured in “Ice Power” – in other words, how many blocks of ice it would take to produce the same amount of cooling power. The first fully air conditioned home was built in a mansion in Minneapolis in 1913 by Charles Gates. Herbert Hoover was the first President to enjoy air conditioning. He spent $30,000 to install the system in the oval office, just after the start of the Great Depression.